Any special instructions to the designer? 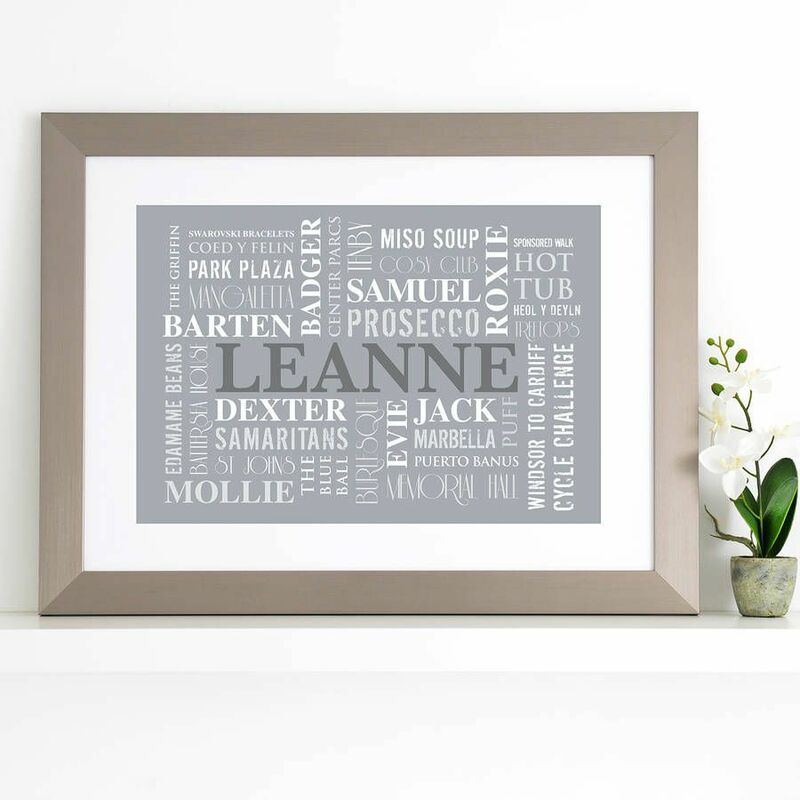 A special birthday or anniversary gift - this stylish, beautifully designed piece of typographic art, tailor made just for them! 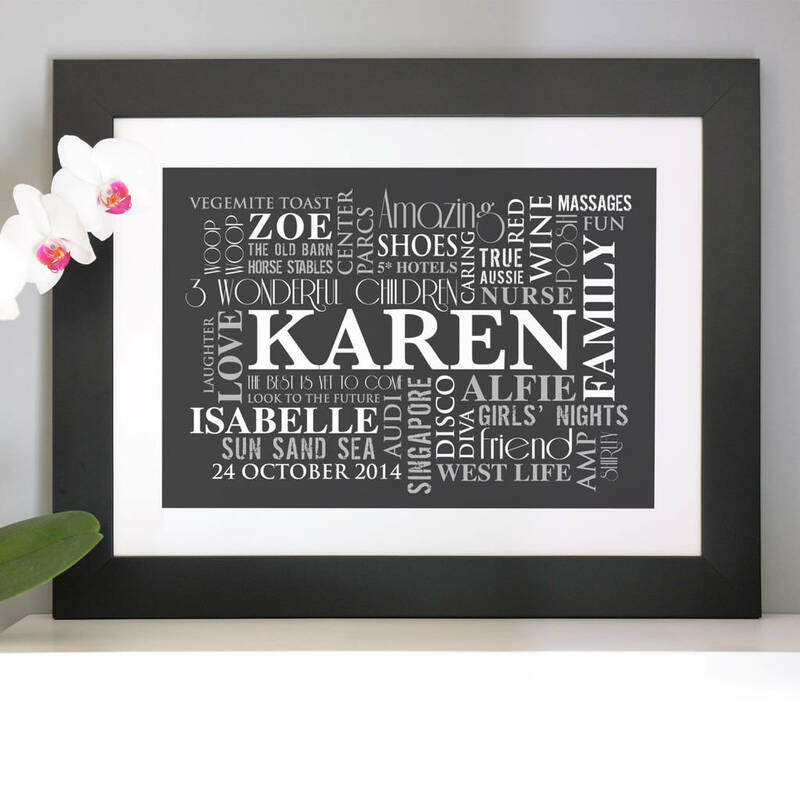 We will create a stunning piece of art that depicts their life - their family, children, hobbies and interests, places lived, their travels, things they love to indulge in, favourite sayings, music, cars... you can add just about anything that describes them. 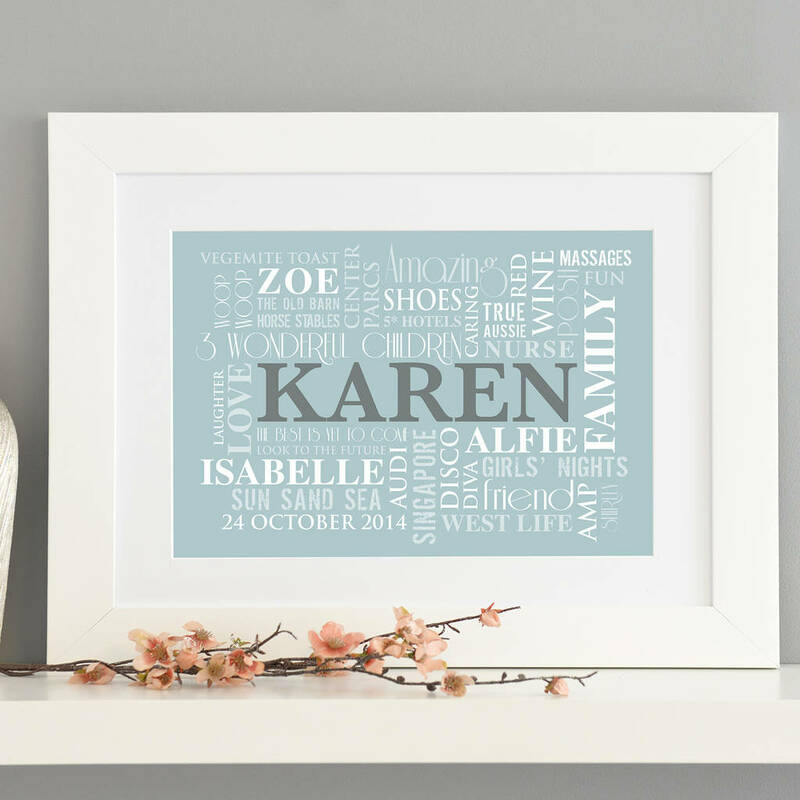 We know they'll be totally bowled over with the result and it will take pride of place on their wall. 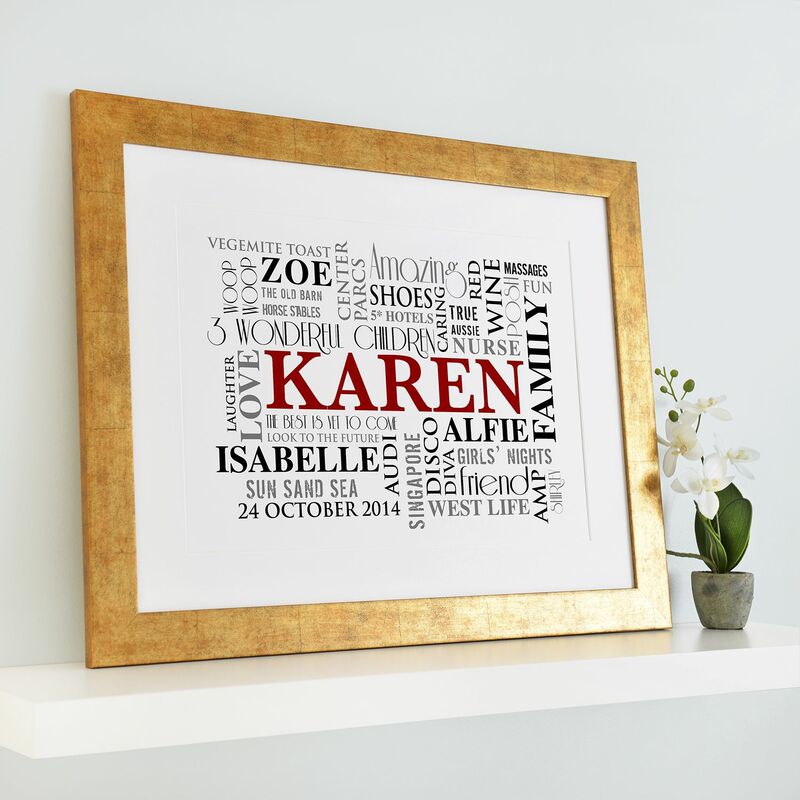 You are welcome to add a single name, ie; "KAREN" or a couple's names ie; "ROB & ANN" across the middle. This would make a unique birthday gift, perfect anniversary or wedding gift or retirement gift to cherish for years to come. You can have from approximately 35 words up to about 80, but we feel that approximately 60 words works well for this design. Please add a combination of long and short words, as well as short phrases and single words to achieve optimal effect. 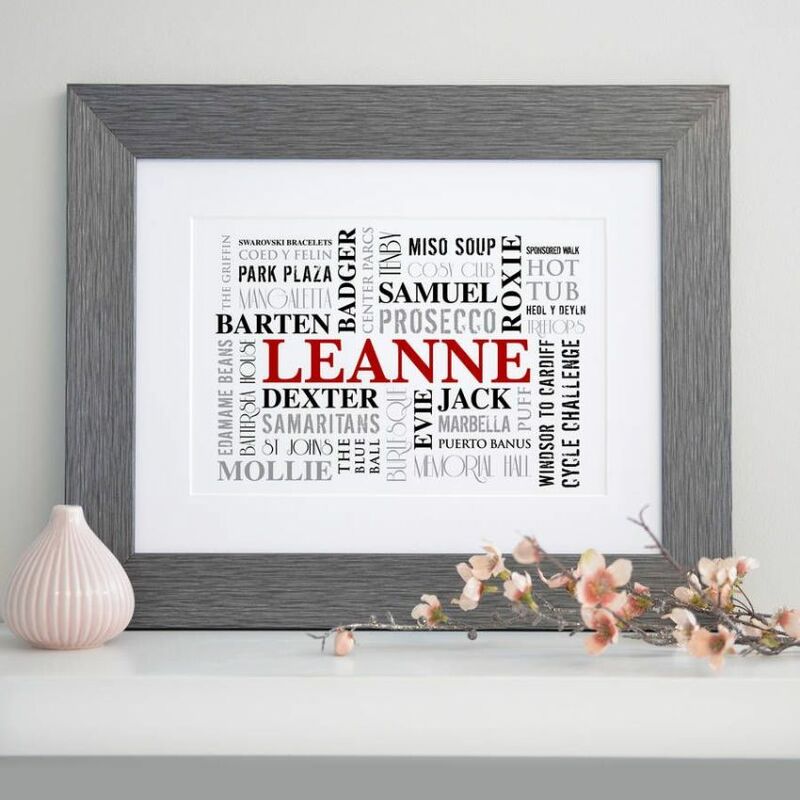 Available in 6 colours: black background, grey background, neutral background, red background, duck egg blue background and white background with name in either red or duck egg blue.